My favourite eyeliner- Kiko Intense Colour Long Lasting Eyeliner Pencil, my review, swatches, photos and non scientific performance test. I’ve spoken about this marvellous product before, I know, but it bears repeating how good it is since I haven’t come across anything that comes close. I normally get it in shade 06, which is a very dark brown colour. 06 is perfect for everyday liner and I literally wear it every day. It’s great to smoke out with neutral eyeshadow for a day look. Time to check out the other shades. I got my usual dark brown, black and a dark green. The beautiful Spanish(/Italian not sure which) Kiko shop lady practically bought the green one for me, she was so keen on me getting it “so beautiful with brown eyes, so lovely for the summer!”. There were also purple, navy and bronze pencils that I nearly came away with too. After escaping a near cataclysmic assault on my wallet, I got them home to try them out. Bloody marvellous they are too. 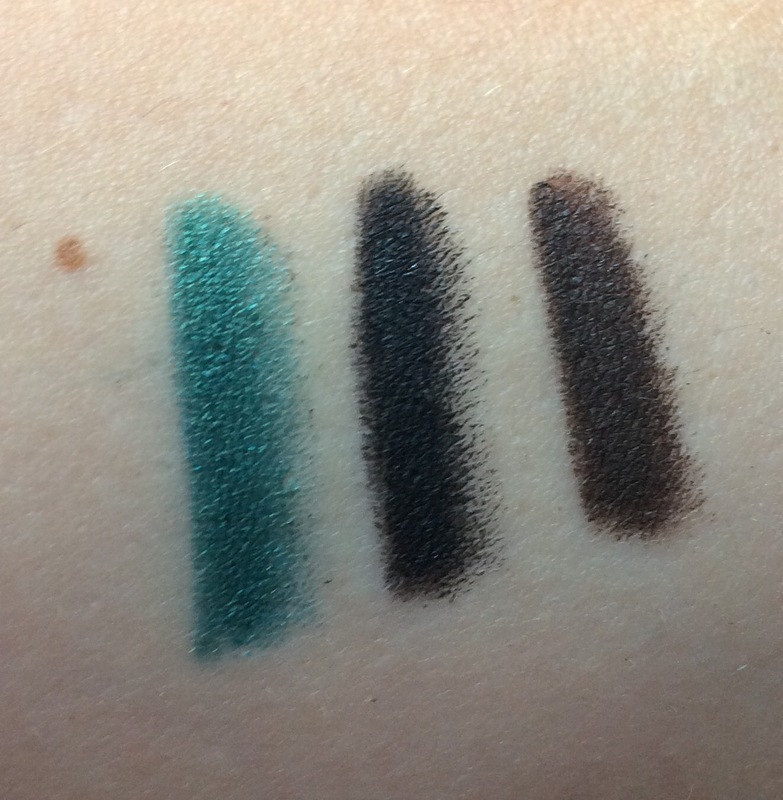 The green shade is really lovely- it’s a metallic teal, like a mermaid colour! Once you have applied it takes a couple of mins and they set to a near permanent line. So you have a minute or two to blend, then it’s on for the day. I often find with pencil liner that by the end of the day it’s making a break for my cheeks. Not so of Kiko ICLL. It really is long lasting. You kind of get the sense that something is promising when you test it on your hand in the shop and it’s still there the next day. Even after a shower and washing up. Here are the swatches after I rubbed them vigorously with my finger. The swatches did not budge. To further put them through their paces I compared them with some other pencils I own- Yves Sant Laurant Dessin du Regard long lasting liner, Mac eye pencil and Bourjois Clubbing eyeliner pencil. I wrote the make of the pencil with each of the pencils and gave them a good going over with a wet wipe. This is my eyeliner clinical trial! 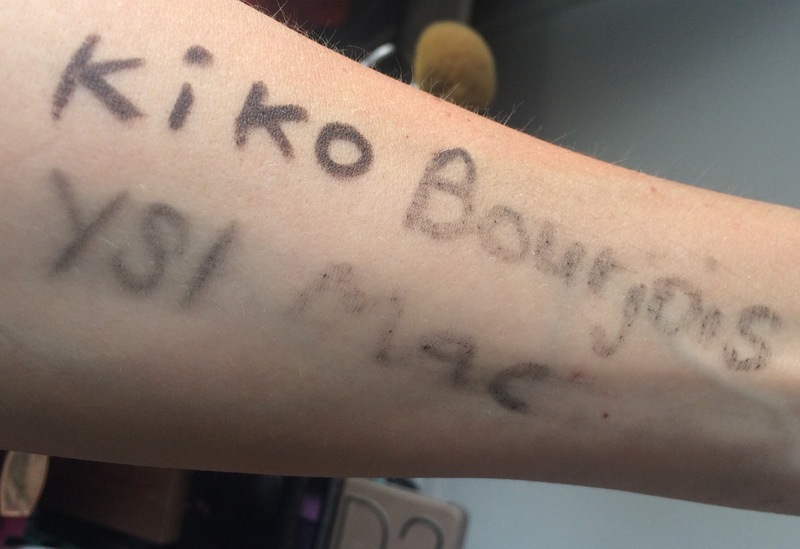 The Kiko Eyeliner was far more resilient than the others. 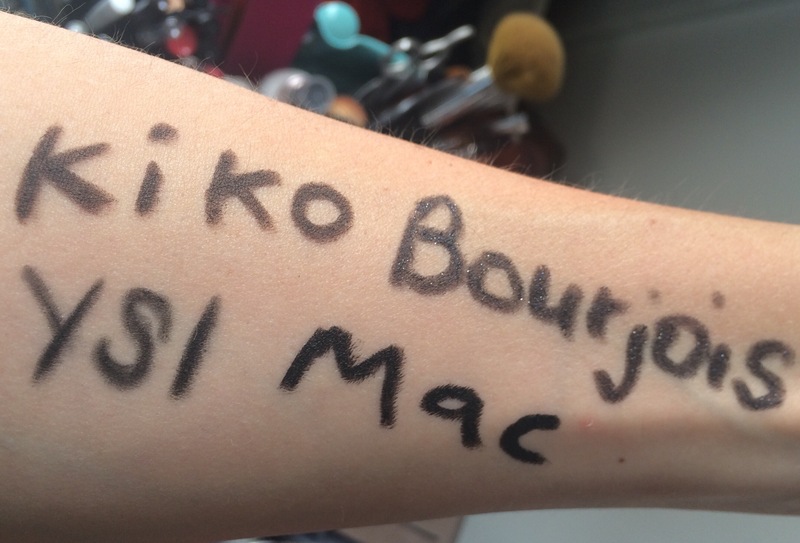 The MAC pencil was particularly smudgy. Kiko Intense Colour Long Lasting Eyeliner is true to it’s name. I find it creates a bold line that doesn’t melt throughout the day. At the same time it’s soft and smokeable. It’s a product I’m going to repurchase and cry over when it’s discontinued. As the name suggests it lasts, this pencil resists oil, water and smudging but removes well with makeup remover. Comes with it’s own applicator. Getting hold of it. Kiko deliver to the U.K., Europe and the U.S.A, I’m not sure about elsewhere in the world. Kiko Intense Colour Long Lasting Eyeliner Pencil is my holy grail pencil and I have no problem recommending it.